﻿ Chicago Hispanic Newspaper, Lawndale News, Hispanic Bilingual Newspapers, Su Noticiero Bilingue » Venezuelan Endgame? April 23, 2019 9:47 am You are here:Home Commentary Venezuelan Endgame? 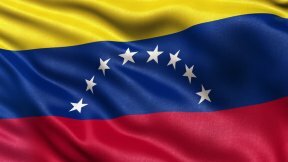 Posted by Editor on August 3, 2017 in Commentary | Comments Off on Venezuelan Endgame? What can only be called an illegitimate vote, Venezuelan President Nicolas Maduro announced that with a “mandate” from the Venezuelan people, he can now create a constituent assembly that will re-write the Venezuelan Constitution (which, incidentally was re-written by former leftist President Hugo Chavez when he came to power) so that the opposition-controlled National Assembly can be replaced. It looks like that Maduro will get his way. With the military on his side, and still enough people loyal to him (plus political support from Cuba and special Cuban forces supporting Maduro), Maduro may now be able to establish a true “socialist” (read: Communist) state. In such a state there will be only one legitimate party—The United Socialist Party of Venezuela. This may truly be the end of what democracy Venezuela has left. Worse, it will mean that people either live with such a one-party state or physically fight back. The result might be civil war. Already the Venezuelan government is taking steps to put as many of the opposition in prison as possible. Among the best known Venezuelan opposition leaders are Leopoldo Lopez (a descendant of the great revolutionary leader Simon Bolivar), and the former mayor of Caracas Antonio Ledezma. They were taken by the Venezuelan secret police Segin, and their whereabouts are unknown. Any and all free speech is now meeting with arrest and disappearance, and innocent people are being tried by military courts. The majority of people are being silenced by the threat of having their food rations taken away (which the government controls since they largely did away with free markets). I wonder what a Communist Venezuela will do? There are food shortages, medicine shortages (which is why clinics and hospitals do not have the medications their patients need and why so many people are dying in these places), agriculture is a total mess, there is no real industrial output, the oil market has collapsed, and now tens of thousands of Venezuelans are trying to escape the country any way they can. Will a socialist Venezuela have a future at all? Will the country become a failed state? I have said it before, and I will say it again; how can a country like Venezuela—with such good people, blessed with huge oil reserves, huge gold and iron ore reserves, and a once prospering agricultural sector—be so cursed? Well, the answer is the curse is socialism, and those who think that socialism will herald Venezuela into becoming a paradise. It could not have made Venezuela more of the opposite.